July had the focus of Integrating Time. It is part of this Year of The Empowered Sovereign as we move into a new spiral of empowerment that supports the Ascension of humanity into a more connected and conscious species. Understanding your power with time is about mastering fourth dimensional expression (a subset of fourth density). Areon, the Lyran Council of Time, say that time responds to us and through us. There are physical laws and subtle laws that affect us. 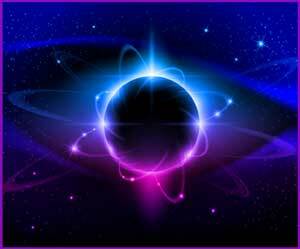 The physical laws are what we see as the “immutable” effect of time. For example hours/days/seasons – the effect of movement around the sun. Your subtle realm is your inner realm. Your subtle bridge—how you connect directly with the subtle realm—is your thoughts and emotions. Your subtle bridge responds and interacts with the field of life, invisibly creating the future. Because it is subtle, it is mutable, but it cannot be controlled and manipulated like the realm of form. Your present moment has the past and the future in it, so being fully present and empowered flows your energy strongly into your moment. Things like fear, drama and chaos can take one out of their power, out of their present moment. This is the difference between awake and asleep, empowered or disempowered. When you anchor in your present, you are able to connect more consciously and clearly with your subtle bridge. And we’ve got some doozies coming up. Time to surf! August is a powerful time each year as the Leo energy blazes us into a fiery new phase. I hope you all have a Leo you love in your life—they are magical. Mostly. Like all signs. ;o) We’ve got some really cool astrology in these times with a black moon in Leo, an eclipse series traipsing across the United States. The Ascension energies I was shown was shown a light zooming all over the earth and touching down for a second in places, gathering momentum with other lights, splitting off, gathering new momentum. During this vision I heard, “Ignite Your Soul.” This is a time of powerful focus into your energy of what you want to create in your future. Areon has been preachin’ for awhile about “get YOUR energy into the world.” You are Life, you have a powerful spark of creation within. Use your focus to pray for humanity’s future, you get a vote! From your desires, your actions will be inspired as you participate with your moments from that clarity of what you want. Wow! What a perfect message from the animal kingdom! Both animal messages excerpted from Animal Speak by Ted Andrews. The “meek inheriting the Earth” (those strong enough within to operate from compassion and balance rather than dominating due to fear) begins in this way. The compassionate ones roar their silent Love into the ethers. They participate in structures that are out of balance in a conscious and balanced way and they change them from within, as well as with their powerful focus of Love. Ignite your soul in August! Eclipses offer us a reset of energy. 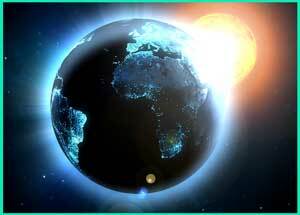 They are potent focusers of two powerful energies for us, the sun and the moon. The two opposites that lead us through day and night such that we connect with the outer and the inner, honoring the full breadth of the dual engine of life as we create. Eclipses occur in pairs of opposite signs. The lunar eclipse on August 7 is in Aquarius. The solar eclipse on August 21 is in Leo. The eclipse enters the US landmass in Oregon, a state that is currently rather progressive. It exits through South Carolina which has a history of slavery. I was shown “in with the new, out with the old.” Remember, these are generalizations, which can show you a pattern, but it doesn’t just completely apply. It is not to say that Oregon has a perfect history, or the people currently in SC reflect that history (I grew up there and I know many powerful Lightworkers that live there!). Take the overall generalization (or leave it), but don’t read too much into it. “In with the new, out with the old.” Build the future, learn from the past. Lightworker, what kind of future do you want to see for humanity? All Life being honored equally? Don’t worry about the how or when, focus on it! The how and when as it applies to you will surface in your heart and mind and inspire you into creation. Do you see a huge clue? In with the new first. Hasn’t this been what we’ve been working on as we learn to use our thoughts and emotions positively? Yes, of course sometimes it’s out with the old first in the physical world. But even that begins with a desire. We recognize our desire for peace, love and abundant flow for All Life, then readjust to create that—getting rid of beliefs, habits and physical things that hold us back from that. In with the new. It’s in you. Live it, breathe it into your world. Be it. Renew your focus on what you want to create. Start within. We have more support for this than it seems. The Light Language transmission surprised me with this. Ignite YOUR Soul in August. Spend some time each morning to focus on your desires for the future, yours and humanity’s future. This is your time, Lightworker. Be present and gift the future with your Love. These are the times we’ve been preparing for. Powerful times, indeed. This entry was posted in Ascension, Uncategorized. Bookmark the permalink.